A luxury car for the road and a serious machine for the track, the RC F Track Edition made its first appearance this year at the North American International Auto Show in Detroit. It was joined by the sensational LC Convertible Concept, an open-top roadster offering a glimpse of the future. 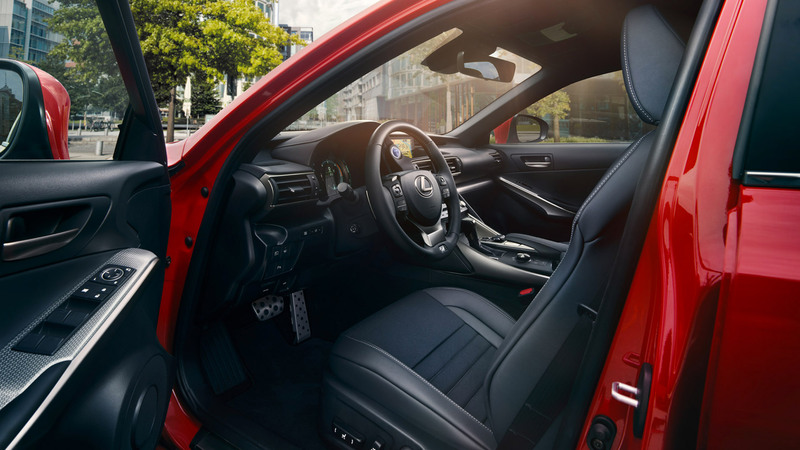 Developed with input from Lexus race teams competing in the Super GT and IMSA series, the RC F Track Edition was designed to blend luxury craftsmanship with performance upgrades typically reserved for exotic sportscars. To achieve this, weight reduction was key. Brembo carbon ceramic brake discs were significantly lighter than their steel counterparts, while also better able to withstand the extreme heat-cycling associated with performance driving. Further weight was saved through a titanium exhaust silencer and tailpipes. Rarely seen on production cars, titanium also gave a polished look and a unique sound from the 5-litre V8 engine. Inside the cabin, a red leather interior with Alcantara seat upholstery and red carbon trim gave the Track Edition an exclusive, sports look. Across the arena at the NAIAS, Lexus caused a stir with the world debut of the LC Convertible Concept. The design goal for the concept – an artful reflection of the LC coupe – was ‘ultimate beauty’. For the first time in Lexus’s history, the concept combined Japanese aesthetics with the promise of a driving experience only an open-top car can provide. More than just a grand tourer, it has performance pedigree to boot, with 22-inch wheels, short overhangs and an impressive wide stance. Vehicle specification images for illustrative purposes, exact detail and specification may vary on UK cars.